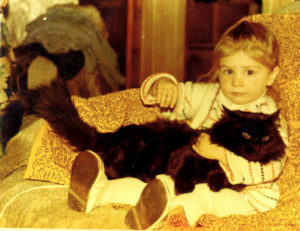 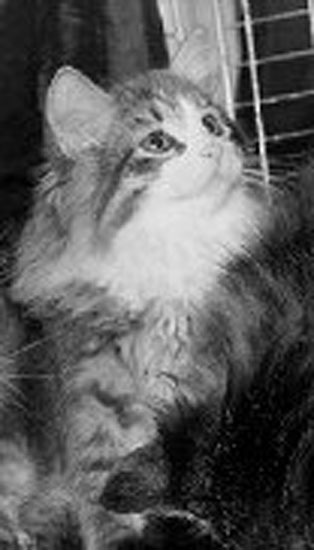 Gelios is a very famous cat bred by Tatiana Alekseeva (the original Onix Gloria breeder who started the cattery) and owned by Oksana Andreeva from Saint Andre cattery. 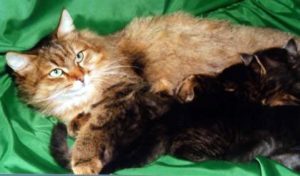 Gelios was used to create the Fife standard for the breed. He is basically in the roots of Onix Gloria lines and direct descendent of Abakan cats. 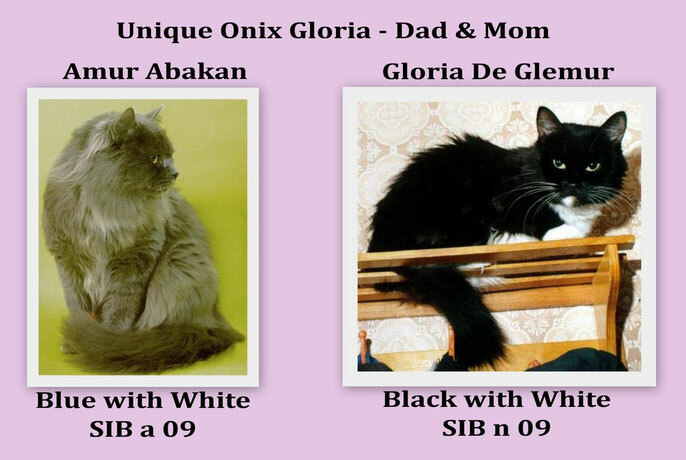 Since he was the very first Onix Gloria stud and appears in most Og pedigrees, we use Gelios to measure the Onix Gloria influence on pedigrees. On a personal note, Gelios was an excellent cat and most of his offspring too (apart from Tiger Onix Gloria who was highly inbred). 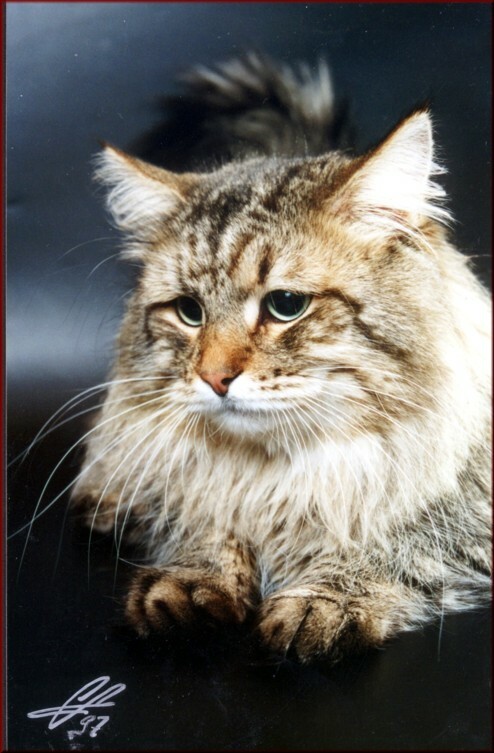 He was lost by his owner at age of 5 or 6 since he was allowed to go outside. Unique’s Og mum and dad. 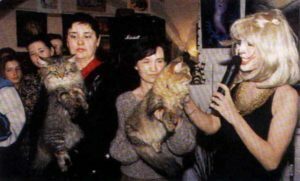 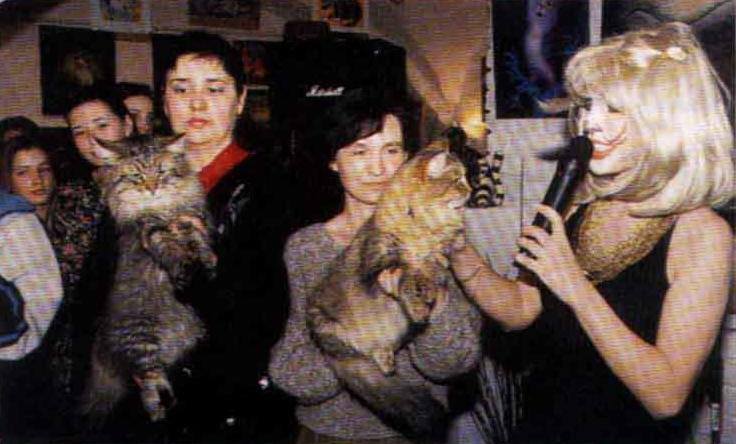 Fife presentation with Tatiana Alekseeva holding Gelios on her arms (center photo) , 1997.